The Shoreditch grind, I’m always in the area wondering around. So much to see and do I never stray from my beloved East London ends. I had the Traveler’s company caravan in Europe event at the Ace Hotel to attend. I’ve been passed Pump Shoreditch a few times but never got a chance to eat at the stalls. It was perfect for me as it was only across the road from the Ace hotel. A old looking abandon petrol station resides at Pump Shoreditch, street vendors rotate so check out the site before visiting. You can visit at anytime of the day from 11am until late. 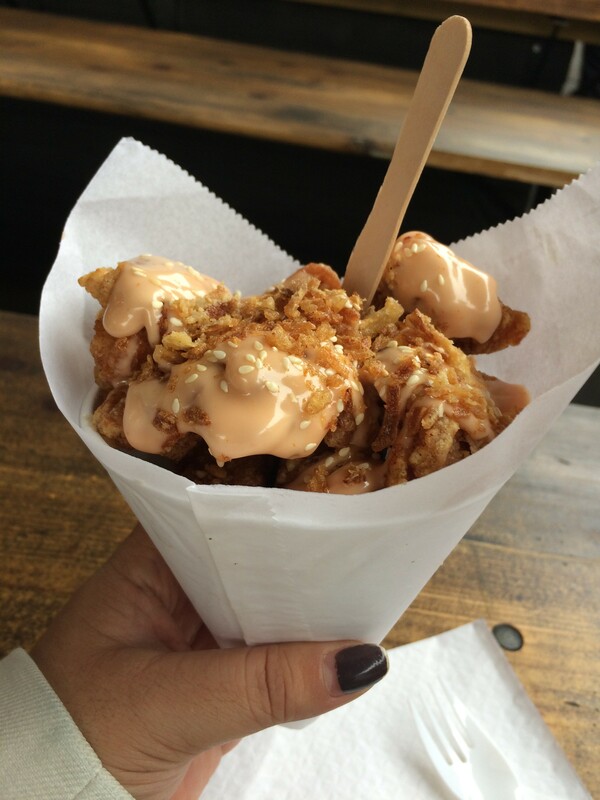 Makimayo particular stood out, the front display of cones of stuffed with popcorn chicken coated with various sauces. 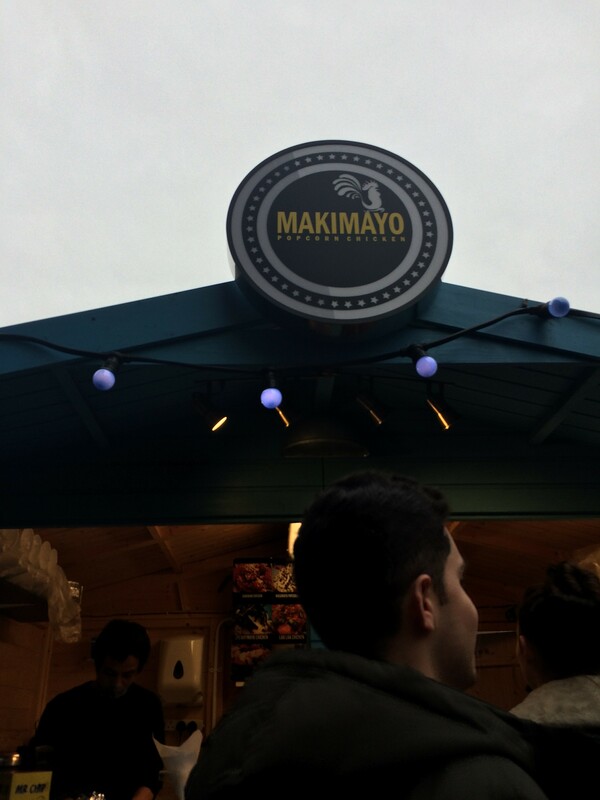 Makimayo specializes in popcorn chicken, with Korean, Chinese and Japanese style flavours. Have your chicken your way, there’s 4 ways to choose from go large and grab a container. Handing over my fiver, I waited for the paper cone portion to be made for me. 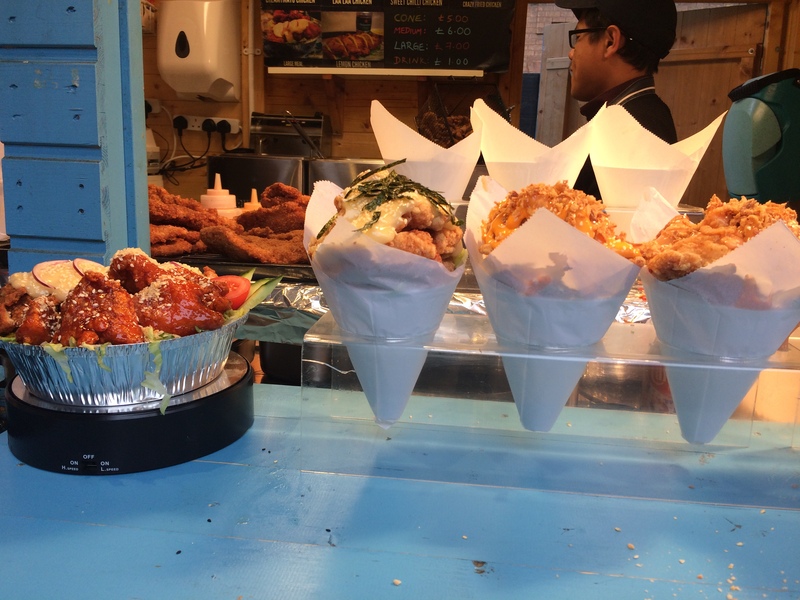 They deep fry the battered popcorn chicken and toss the sauce mixture in a metal bowl before scooping it in a paper cone the portion was more than enough for me. 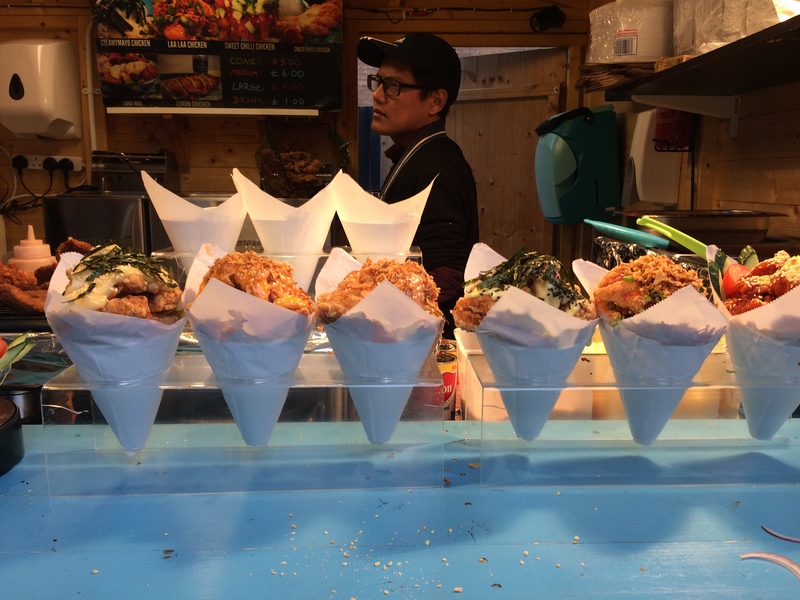 Succulent big chunky pieces of golden shell coated chicken towered inside the cone, drizzled with a thousand island style creamy mayonnaise and scattered crispy tempura pieces. Biting into moist tender chicken only made me dream and miss my Korean Fried Chicken in Korea. Not every piece was covered in the creamy mayo sauce, on it’s own it tells like Japanese karaage, hints of ginger and garlic is revealed after a few bites.